It’s difficult to know what to write in a base diary – do people want to hear about what I’ve been up to personally over the course of a month, or would it be better to talk about base life in general? I have decided to attempt a mixture of the two and see how I get on. It’s not easy to demonstrate wind strength in a photo, but this is what hurricane force winds look like. For people who haven’t been to South Georgia it’s tricky to explain just how incredibly changeable and dramatic the weather here can be. Exact measurements of wind are difficult as we don’t have machines that read high enough, but the wind speed around base reached well over 70 knots (hurricane force) at the start of the month. Those who actually ventured outside and up a hill (it’s too complicated to explain why they felt the need to do this, but apparently it was necessary) reported that you could lean over and touch the ground during the gusts. Personally I ventured outside only to take pictures of the sea (which in no way capture just how impressive it all was) and then scuttled back inside. High winds make life interesting for the ships that operate in this area, especially ones that actually want or need to come alongside the jetty. Luckily there was a window of calm when the JCR came in for a short visit this month, which meant they were able to tie up rather than having to sit at anchor and have people ferried ashore on small boats. This provided us with the opportunity to host a joint ship/base BBQ on the jetty which was an unexpected treat. Sadly this is something that rarely happens these days as there is usually too much work to be done when BAS ships are alongside and a very tight schedule to be met. However, this was a social visit to allow the crew and scientists to come ashore and explore a bit of South Georgia so we had a lovely evening relaxing, mingling and eating excellent food, provided almost entirely by the ship’s galley crew. April also saw six members of the base head off on a most exciting journey to the King penguin colony at St Andrews Bay – mainly exciting because the beach is home to about half a million penguins, but also because we went round there in boats! The bay is a considerable distance from base and well outside our normal boating limits. However, in special circumstances we are occasionally allowed to take the boats round there rather than tackling the standard seven hour hike across the Barff Peninsula. Luckily, the need to resupply the hut with food and medical kit as well as remove rubbish and drop off two of the winterers for a holiday, meant that permission was granted for the trip. The bay where we live (East Cumberland) is generally very sheltered and it was flat calm as we left the jetty. However, as Ernie and I headed out towards open water in the RIB and the waves gradually got bigger and bigger I think we were both a little dubious about the prospect of a two hour journey in these conditions. Luckily the sea settled down once we changed course and we were able to relax enough to enjoy views of a previously unseen coastline. Prior to coming South I had been warned that penguin colonies smell, but a colony of around half a million birds smells so much that we were alerted to their presence about two miles off shore. As we got closer the true size of the colony became apparent, and I for one just stared in wonder as the black, white and fluffy brown beach moved and squawked. In order to restock the hut, several hundred meters of fur seal gauntlet had to be tackled first, which provided us with an extra (and not entirely welcome) challenge. Eventually all boxes had been delivered to the hut and the rubbish removed (extremely hot work in boat suits) and there was just enough time time for a quick drive-by of the colony to fully appreciate its size before setting off for home. The plan was to check out a few bays along the way to familiarize ourselves with the area, just in case we ever have to do any search and rescue operations or need to dive for cover in the event of bad weather or a boat problem. First call was Ocean Harbour which, as well as being home to an awful lot of kelp, is also home to the wreck of the Bayard (a 67m long, 1300 ton, iron-hulled, three-masted sailing vessel built in 1864) which in turn acts as home to many, many shags and seemingly quite a lot of tussock grass. Unfortunately, after that detour the fog came in, it all got a bit more serious and further exploration of bays was deemed to be a bad idea. Once through the fog the rest of the trip home went smoothly and I slept ridiculously well that night. Driving boats is far more tiring than I had anticipated! One of the wonderful things about being a BAS employee on South Georgia is the fact we have a fairly sizeable travel area to explore and lots of exciting places to visit if we wish to get off base. Weather permitting people try to get out most weekends and this month several of us went for a (rather longer than expected) wander around the Hamburg Lakes. It was probably one of the most beautiful days I’ve seen here and this will definitely remain one of my favourite island excursions. I also headed up Mt Duce for the first time this month with Rod (Base Commander) to take some pictures of the Bark Europa, a tallship operating in this area, which popped into the bay for a brief visit. The whole base was then invited on board later in the evening for a wonderful BBQ and tour of the ship. As well as day walks and proper holidays, we are also able to spend the odd night away from base if we want to and are able to find a friend to come with us. Towards the end of April Ella (Boating Officer), Dan (Higher Predator Scientist) and I headed off to Maiviken for an overnight trip to Sealer’s Cave. Whilst not exactly luxurious, the cave benefits from wooden decking, thus avoiding the need to sleep on the rather unappealing damp floor and, as the entrance has been boarded up, there’s no danger of finding yourself snuggling up to an inquisitive fur seal in the middle of the night. Firewood was carried over by Ella and everything was set for a magnificent subterranean adventure. Dinner was consumed sat next to the crackling fire, with the sound of the sea lapping up against the rocky shore, the occasional grunt from nearby fur seals, a bright moon and very starry sky above. It’s really not such a hard life here! In contrast to the excitement of weekend trips and extended boating excursions, much of everyone’s time this month has been spent absorbed in the rather less scintillating task of counting. It is indent time on base which means everything has to be counted (yep, literally down to the paperclips) to enable Rod to put in next year’s order. We generally only get provisions sent in once a year (except for fresh fruit and veg from the Falklands) so it’s fairly important to get this right. That said, when you are faced with a room full of shampoo bottles, toilet rolls and mop heads, the temptation to estimate numbers is undeniable! Eventually all was done and in the process I learnt what the difference is between an omelette pan and a frying pan – clearly invaluable information for life. This month also saw the departure of the summer building team who have been renovating Discovery House as well as Pat (Government Officer) and his wife Sarah (Museum Manager). We look forward to their return later in the year. Finally I thought I would mention a bit about some of the more interesting work we do here, lest I give the impression that all we do is climb hills and count things! The fishing industry is extremely important on South Georgia, and a big part of what the BAS staff do here is related to it. We have two boating officers to take the Government Officers out to the vessels for inspections, a Fisheries Scientist to process the samples sent back by the observers on board and a Higher Predator Scientist to monitor for any impact the fishing industry might be having on the local penguin and seal populations. Even I occasionally get involved when I am asked to review a sick or injured sailor. For this part of the diary I’ve had to enlist the help of our fisheries scientist Sue and Jo, one of the Government Officers (GOs) as my knowledge of all things fishing related is minimal at best. We’ve already had the icefish boats through and April saw the arrival of the toothfish long liners. Six ships received a licence to fish around South Georgia this year from the Government in Stanley. However, in order to actually get a physical licence and permission to start fishing, every ship has to be inspected by the Government Officers working down here at KEP. 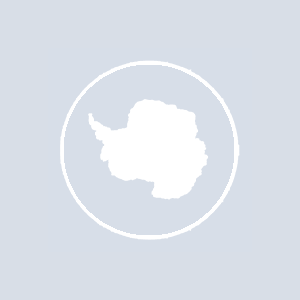 These inspections are surprisingly thorough as the ships have to meet standards set by both The Commission for the Conservation of Antarctic Marine Living Resources (CCAMLR) and the South Georgia Government itself. As well as checking the ships meet standard safety requirements, the GOs are also checking the fishing equipment is in order. I may not know an awful lot about fishing, but I do understand that the point is to catch fish not seabirds. 10 years ago the long liners were catching hundreds to thousands of seabirds, but around South Georgia last year this number had been reduced to just two. The massive reduction is not down to expensive and complicated changes in fishing methods, but simple things like weighting the lines to ensure they drop quickly before the birds can get them, and towing strings with coloured plastic bits attached after the ships to put the birds off. The toothfish caught around South Georgia are Marine Stewardship Council certified and have been since 2004. This means that every fish is traceable from hook to table. Should they wish to, customers can find out exactly where each fish was caught, by which ship and on what date. This means you can be sure it has come from a well-managed and sustainable fishery rather than being caught illegally from unregulated and potentially endangered populations. Right, I think that will do for this month. Best wishes to everyone at home.